Waterfall Info: This is a very tall waterfall on Flat Branch, a tributary of the Tallulah River draining from the east. You can see most of it from the base, though a little of the upper slide remains hidden. Best seen during wetter periods. 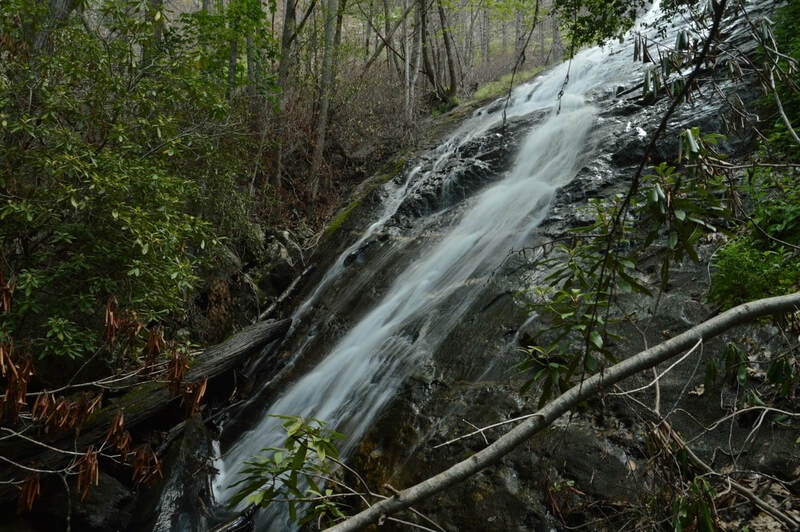 Access Info: This waterfall is accessed by a very steep, fire-damaged scramble path from Tallulah River Road (FS 70).